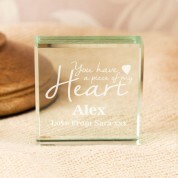 This stunning glass block is the perfect way to show your love to your other half. It is sure to melt a heart as it is handed over! 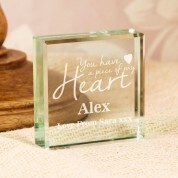 The quality glass block has a jade green tint and the engraving reads “You have a piece of my heart”, followed by the recipient's name. There is even room for a small with love message, making it truly unique. The design is made complete with love heart outlines. 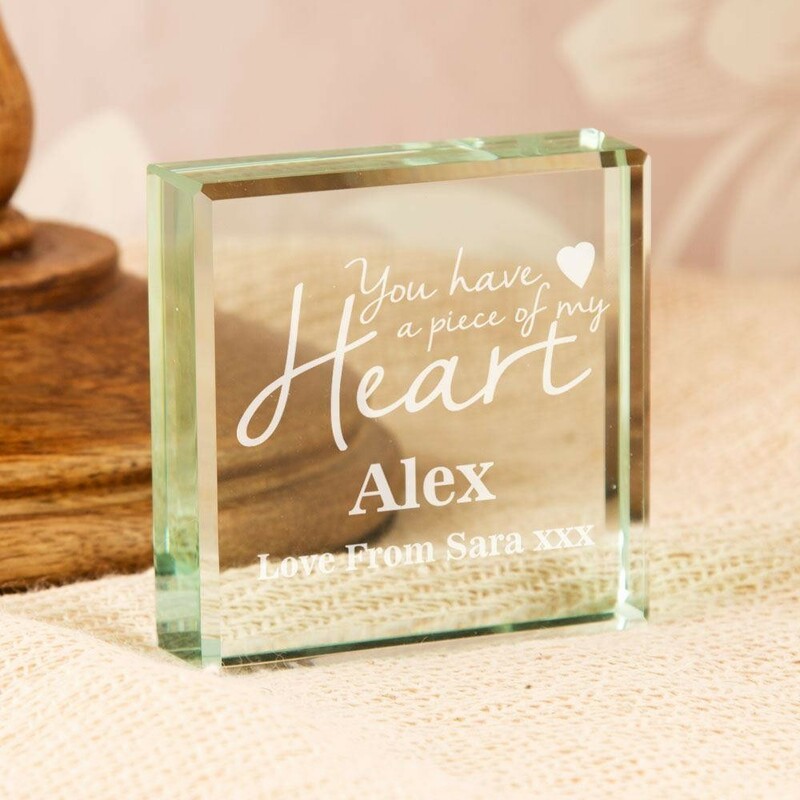 We think this will make the perfect keepsake from a boyfriend, girlfriend or spouse on an anniversary, Valentine's day or birthday. 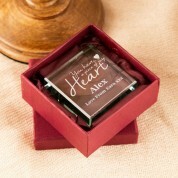 It is presented in an attractive maroon silk lined box for safe keeping.